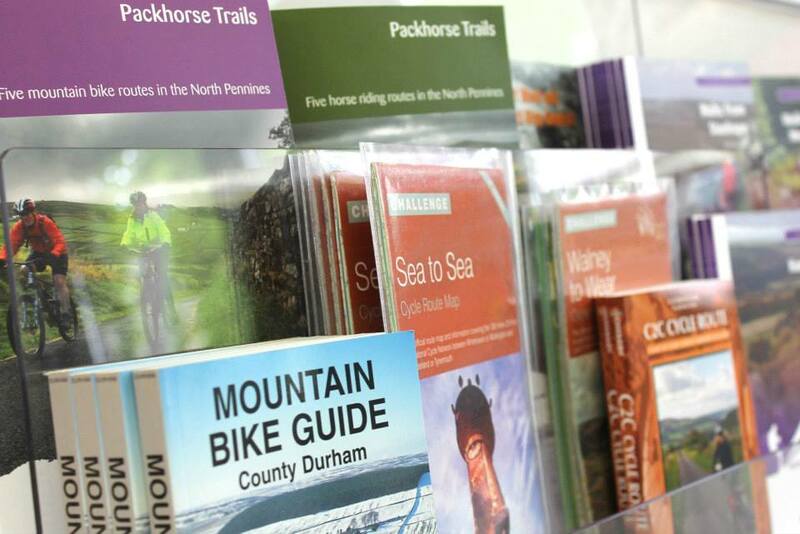 Situated within the Durham Dales Centre, the Visitor Information Point offers an array of leaflets and information, plus staff offering basic advice and help on Stanhope and the Durham Dales. We can help you make the most of your time whatever your reason for visiting. 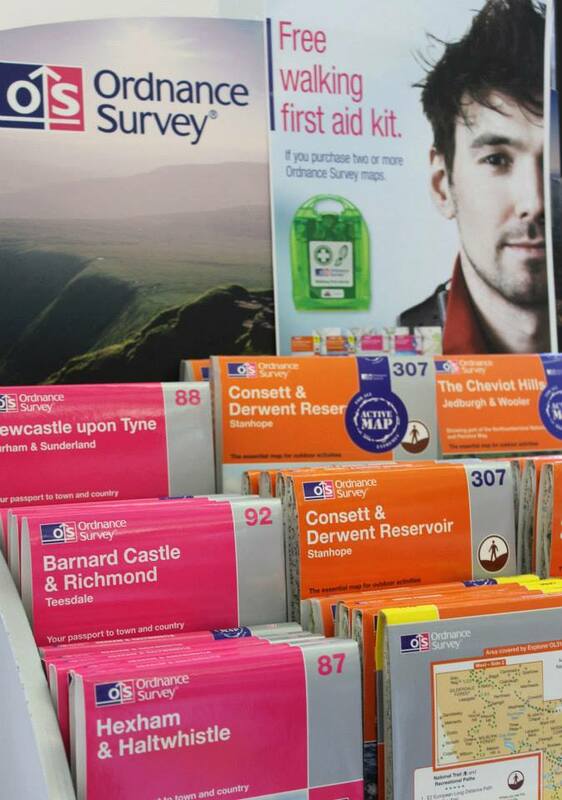 On sale are ordnance survey maps, walking and cycling guides and a wide range of books covering the history and geography of the area. Weardale and Teesdale offer some of the most magnificent scenery in the country, they truly are a treasure waiting to be found! Walking in Weardale, 9 walks around the Durham Dales, £9.99. Following the success of his previous two books, ‘Walks from Stanhope’ and ‘Walking in Weardale’, Kevin Shevels continues his exploration of this beautiful but rugged Durham Dales. Bradwell’s book of County Durham Wit & Humour £3.99, has plenty of jokes, some sporty jokes, one liners and a few jokes to prove how well the people of County Durham get along with their neighbours in Northumberland and Lake District. The Durham Dales Centre is the perfect place to start or finish a Weardale Walk! You will find a wealth of information in our gift shop from maps and guides to friendly staff full of local knowledge. Several Walking groups, like Walk 4 Life meet regularly at the Centre for a bite to eat before and after their walks. We are a good place from which you can explore the beautiful village of Stanhope. Contact us for more details. The Durham Dales Centre is a great pit stop for cyclists! You can secure your bikes in our courtyard and refuel in the Durham Dales Kitchen. Maps and cycling accessories are available in the Gift Shop. We are keen to develop relationships with cycling groups so if your group is planning a ride along the nearby Coast to Coast route or looking for a great place for a rally or event, we would love to hear from you. The Durham Dales Centre is a regular stop for several car and motorcycle clubs, why not make it one for yours? We would happily plan special events with you for your members, contact us for details. We operate the only large car park in Stanhope, groups park up and can relax in our lovely gardens and eat in the Durham Dales Kitchen. Maps and guides are available at our Gift Shop. There are lots of things for children to do at the Durham Dales Centre. Our safe and attractive gardens and courtyard are great to explore and for play. Often we work with local artists to deliver creative activities like Sand Art. There is a Children’s Menu at the Durham Dales Kitchen which has its own play area for board games, drawing and colouring in. The Durham Dales Centre is the ideal place to stop when visiting the Durham Dales. 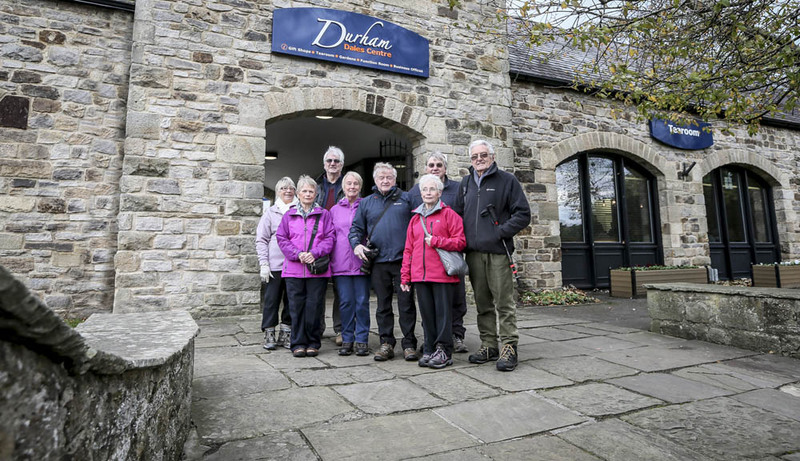 The Durham Dales Centre offers: Onsite parking, fully accessible site, public toilets, 60 seater Tearoom, boasting an extensive menu of homemade produce. A range of craft and gift shops, Visitor Information Point, Walled Dales Garden, complete with pond and seating. The Tearoom also provide coach drivers incentive for pre-booked coaches with a minimum of 15 passengers. Between 10am – 11.30 Bacon or Sausage sandwich and a hot drink. Between 11.30am 2.30pm Light bite and hot drink. Between 2.30pm – 4.00pm Slice of cake and a hot drink.